Sunday morning, I drove to Home Depot and exchanged the oil paint for BEHR Premium Plus Ultra Pure White High-Gloss Enamel, an acrylic enamel. If you've never used an acrylic enamel, it takes a bit of getting used to. It has a thick consistency. You have to put it on kind of thick, but not so thick as to run. And once you get it on the woodwork, leave it alone. Don't try to re-brush it because it sets quickly and you'll make a mess. If you leave it alone, it will blend back into itself leaving a smooth finish. 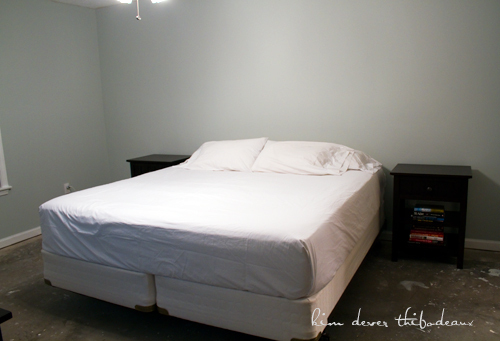 Once I got the trim painted, I re-painted the wall next to the trim to create a nice, clean edge, then I applied a second coat of paint to the walls. I still have a few spots to touch up, but I'm pleased with the outcome. Sean and I both struggled with the fact that our room was a pale blue color, but as the sun went down and the incandescent lights were turned on, it was the pale greenish color we expected. I think once we install white crown molding and get the dark brown floors in and bring some more accents into the room, the wall color will take on a supporting role instead of playing the lead. 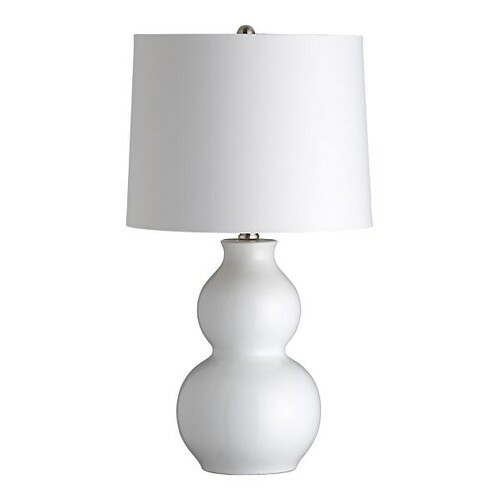 Now I'm exploring options for all the finishing touches in the room, starting with new lamps. 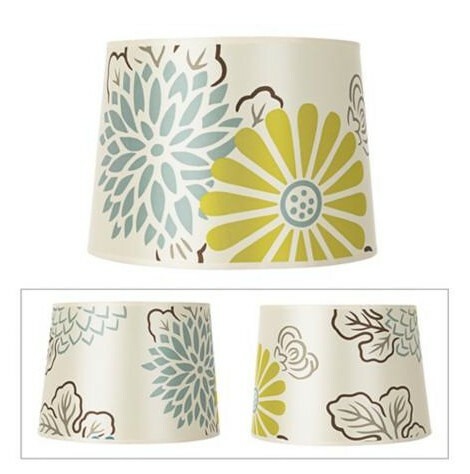 Since I plan on going white with the bed linens, I think bringing in lamps with bold, graphic design could be interesting. This Lights Up! Kimono Shade from Lamps Plus is bold in its simplicity. There are some great fabrics on the market, so maybe I'll create my own custom drum shades to top the bright red, glass lamps we already own. 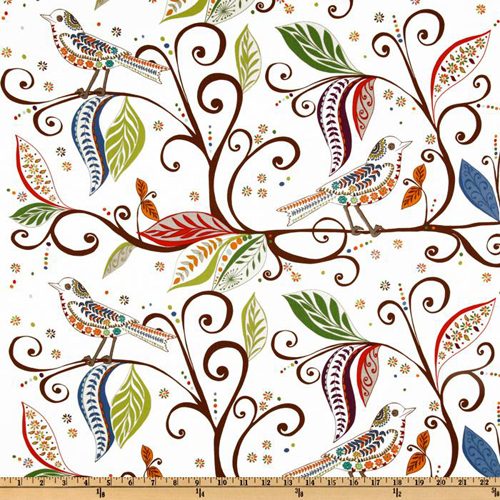 I'm in LOVE with this print I found on Fabric.com It's called Wrenly Wren Gypsy White by Valori Wells. I not only love all the colors and the retro feel of the design, but it features the cutest little birds. And best of all, Sean likes it! 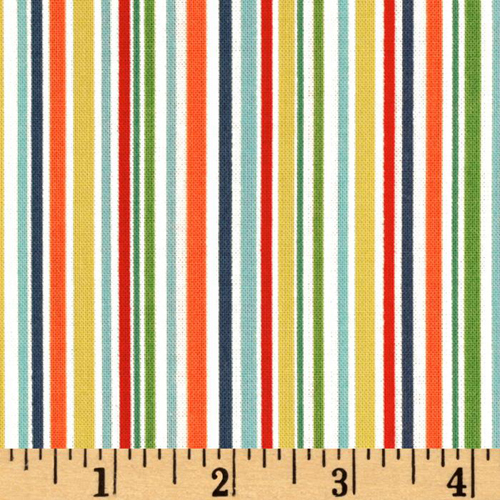 I like Michael Miller's Mini Mikes Slender Stripe Retro as a coordinating design. I've attempted to show them to scale. I could use them to create the cushion and accent pillows for the window seat we're going to build. 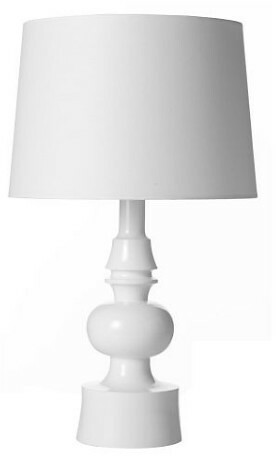 or the Zing lamp from Crate & Barrel, continuing the minimal theme. Have I mentioned that I love Crate & Barrel? We're also looking at options for the built in bookshelves. Sean can build them, but if we can buy some at an affordable price, that would be ideal. 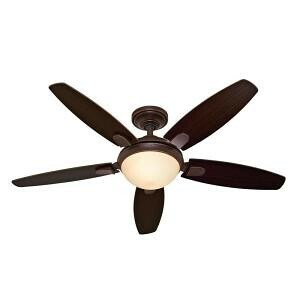 The Victorian ceiling fan needs to be replaced with something more sleek like this contemporary Hunter 52 in. from Home Depot. I know interior design experts poo-poo ceiling fans, but we live in South Louisiana and I'm almost 45 years old. I need a ceiling fan. No ifs, ands, or buts about it. Case closed. Add our new bed and an area rug and it will be a wonderful place to retire to after a long day at work. If I only had a magic wand...but I don't. So we'll just continue doing a little at a time and I'll post our progress here. Love the color of your room and it should be fun to add some bold colors with it. Love your photography too.